Marc Warren needs to win this week’s European Tour event in Malaysia to join Russell Knox in the first World Golf Championship of the season in a fortnight’s time. According to a world rankings expert, Warren can only climb into the top 50 from 85th by coming out on top in the Maybank Championship, which starts today at Royal Selangor in the Malaysian capital of Kuala Lumpur. The top 50 when the updated list is published on Monday qualify for the WGC-Cadillac Championship, with 32nd-ranked Knox currently set to fly the Saltire on his own at Doral in two weeks’ time. “I would love to have to change my plans, but, to be honest, the WGC-Cadillac hasn’t really been in my thinking this year,” said Warren, who finished joint-17th behind Dustin Johnson on his debut in the event last season. Lying 71st at the end of 2015, the three-time European Tour winner still had a decent chance of teeing it up again at Trump National but lost ground in the standings after he only made one cut in the three Desert Swing events. “I’ve already planned my year so far without factoring it in,” added the 34-year-old. The South African equivalent of the Dunhill Links, the Dimension Data Pro-Am, features tartan trio Jamie McLeary, Scott Henry and Bradley Neil as it gets underway at Fancourt tomorrow. In an event played on three courses at the George resort, McLeary will be aiming to back up his first European Tour top-10 finish in the Tshwane Open on Sunday. “We have been have been working together on simplyfying his swing and in particular his delivery of the club into impact,” said McLeary’s coach, Ian Muir. McLeary failed to hang on to his card two years ago but picked up more money for his joint-seventh finish behind Charl Schwartzel in Pretoria on Sunday than he did in the first 19 events then. “This year is a great oppourtunity for Jamie to establish himself on the European Tour and the stats would back this thought up,” added Fife-based Muir. “The biggest challenge he faces is being able to calibrate him self to the different environmental conditions he faces as he travels from tournament to tournament. “For example, the greens in Doha for the recent event there were slow, which didn’t suit his putting style. “There will obviously be ups and downs during the season but, having been on the European Tour and winning on the Challenge Tour last year will help. Decisions on a review into Scottish Golf Support Ltd, the Scottish Government-backed initiative to help players with the transition from amateur to professional, will not be made until later this year. “After the January meeting of Scottish Golf Support Ltd, a number of options were discussed,” said a sportscotland statement issued to The Scotsman in the wake of Challenge Tour card holder Paul Shields being knocked back in his bid to secure backing this season. Scotland claimed a comprehensive victory in the seventh International Triangular against the South African Golf Association’s Junior Team and the South African Golf Development Board at The Wanderers Golf Club. The eight members of the Scottish Golf national squad rallied to triumph on 16.5 points, while the SA Junior settled for second on 11.5 points. Greig Hutcheon (Paul Lawrie Golf Centre) finished ninth behind home player and European Tour winner Ricardo Santos in the Algarve Pro Tour’s 54-holer at Palmares in Lagos. Hutcheon signed off wit a 69 for a 10-under-par total of 206, six shots behind former Madeira Islands Open winner Santos after he closed with a 68 to back up a pair of 66s. 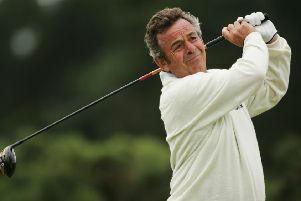 Newmachar’s John Duff chalked up a third victory of the North-East Alliance season with a five-under-par 65 at Spey Bay. He won by a stroke from Fraserburgh amateur Gordon Munro.